Why Do I Need a Long Beach Probate Lawyer? A Long Beach probate lawyer can provide valuable assistance to probate administrators or executors through the entire probate process. 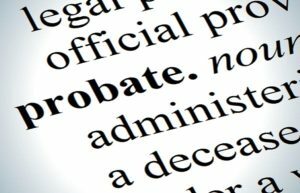 A Long Beach probate lawyer can be an invaluable resource, particularly because the laws in every state are different with regard to probate proceedings and any special requirements established by certain county probate courts. 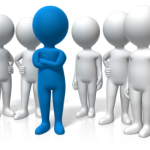 Is it really necessary to hire a Long Beach probate lawyer? 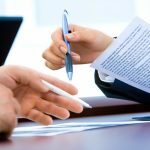 In order to determine whether you actually need to hire a Long Beach probate lawyer, there are several questions you should consider. If your answer to most of these questions is “yes,” then you will most likely need the assistance and expertise of a Long Beach probate lawyer. These questions can help you figure out how difficult the process may be and the likelihood that additional issues may arise. In nearly every state, an estate can possibly be eligible for a simpler proceeding when the estate is particularly small. Many states have what is called “summary probate.” This process provides for an easier, more streamlined process. In some situations, you might be able to get around probate entirely with a basic sworn statement. However, if the estate you are administering does not qualify for a simplified probate procedure, then it would be a better idea to hire a probate attorney to help you through the often lengthy and complicated process. It is not uncommon for family members to have disputes, especially if they are already not getting along. A will contest can be inevitable in some situations. If that is the case, you should discuss your needs with a probate attorney as soon as you can. If a relative of the deceased will likely file a legal action to contest any part of the administration of the estate, then you need legal assistance. If the estate you are administering only involves basic, common assets like checking accounts, vehicles, a house and some personal property, then it may be just simple enough to handle on your own. However, if the estate you are administering involves assets such as commercial real estate, a business or other assets that require special treatment, then you should hire a probate attorney right away. 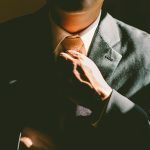 Especially with a business, you will most likely need assistance in appraising and selling the business, if there is no business succession plan in place. While we all hope that when we die there will be sufficient assets and cash available to pay all of the debts, taxes and any other expenses related to settling the estate, while still having assets remaining to give to your beneficiaries. That is not always the case, however. For the executor in those cases, the trick is determining which debts must be paid first. That depends on the laws in your state. 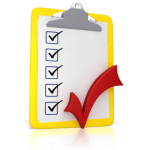 Usually, there are certain creditors that must be paid first. If you are not familiar with how that works, you need to seek professional advice as soon as possible, to avoid personal liability. Although for most estates, the total value is low enough that federal estate taxes will not be imposed. The current federal estate tax exemption is $11.2 million. 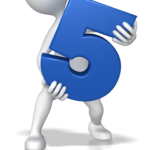 That means, as long as the total value of your estate is below that amount, you will not be assessed estate taxes. But there are some estates that may exceed the exemption amount and if that is your situation as executor, then you need to know how to determine the tax liability and handle the filing of tax return.